We would like to warmly thank all Trusts and Foundations for their support. Without them, many of our programs would not be possible. Outreach programs are at the heart of why we do what we do. Our desire and commitment to sharing the joy, and life-enriching experience of chamber music as widely as possible, fires our activities. We also recognise that many people face obstacles that limit their ability to freely enjoy the arts so we seek ways to overcome these obstacles. We are passionate about finding ways for everyone to enjoy the visceral pleasure, and intimate shared experience of live chamber music. We aim to share this transformative opportunity across communities regardless of individuals circumstances. Flinders Quartet has a steadfast commitment to the development of Australian chamber music, musicians and audiences. We offer inspirational mentoring, regional and remote performances, workshops, and talks across all age groups. 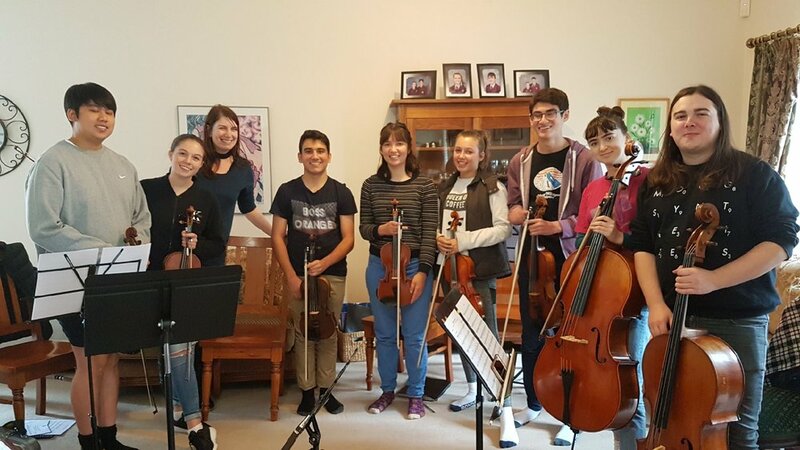 Through partnerships and philanthropic support, Flinders Quartet reaches over 200 students, families, elderly, and remote musicians and their communities each year in an ongoing capacity to enrich the impact of live performance. We seek to advance and reinvigorate this age-old artform which is so loved, with new voices and visions for the future. Through our partnership with John Noble's Quartet Program and our Composer Development Program, we seek to offer the next generation of composers and musicians pathways to establish their careers, and the opportunity to work with some of the brightest figures in the music industry. We are excited about the future of Australian chamber music and are committed to our role as musical vanguards and champions of artform renewal. Please join us in this creating a brighter future for chamber music experiences that everyone can enjoy.